I am delayed in any updates in part because of work, but also because I'm trying to paint very carefully my first few Infinity soldiers. 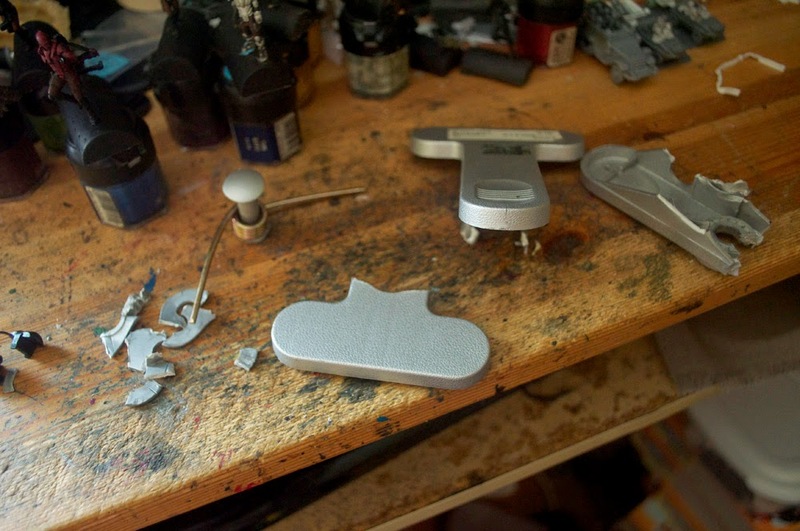 I had a bit of a terrifying setback that luckily I noticed before it went critical: the clamp that holds one of my painting lights had split almost to the point of falling off the desk! It's an alligator-clip style hold, but the entire thing is plastic. The pressure of holding it up (a metal spring, connected to a metal lamp) had apparently caused it to fracture right at a critical spot! 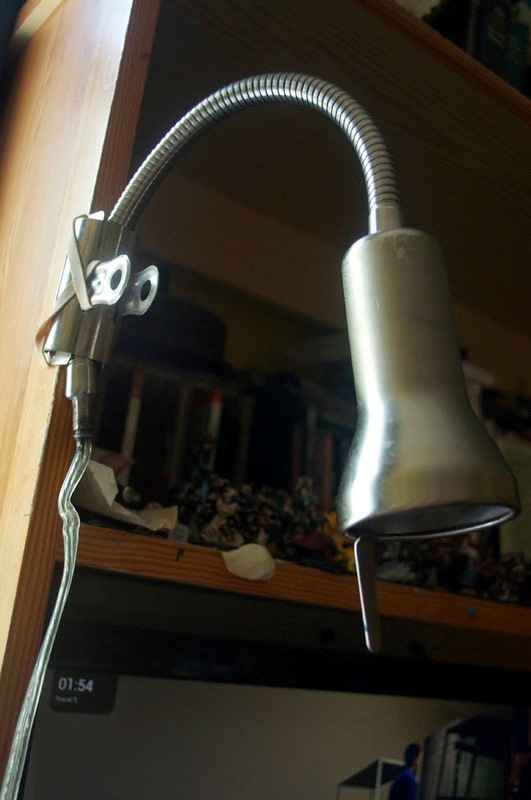 Well, the lamp itself is still good, just the clamp that's off. I have a... thing about not throwing out anything that still 'works' until it's truly dead. That left only one option: I had to repair it! I have a bunch of art bulldog clips, which while not quite as strong as the original grab, had the advantage of being present, metal, and similar enough to work. With that done, shortly I hope to have an update of actual painting stuff!